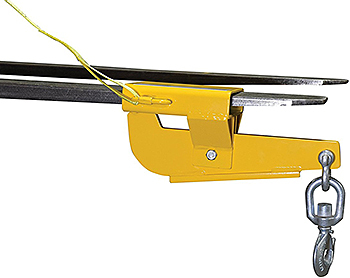 The use of a forklift towing attachment or forklift hook attachment allows you to expand the capabilities of your forklift to tow or lift materials from the overhead position. 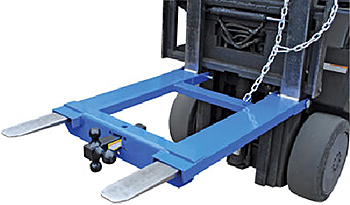 These relatively inexpensive forklift attachments provide an economical alternative to purchasing separate pieces of equipment to accomplish these tasks. 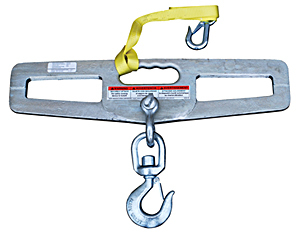 HOF Equipment Company offers an expansive selection of forklift hooks and forklift tow bases. 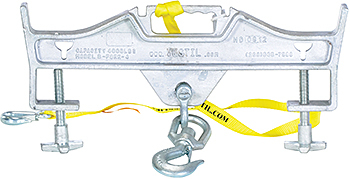 Hooks and forklift hook plates are available in single fork and double fork configurations with capacities up to 10,000 LBS. 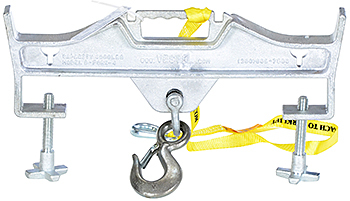 Tow base models are in stock and ready to ship for fork lengths of 36”, 42” and 48”. 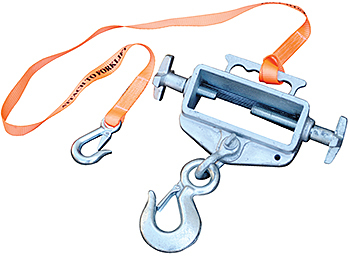 Available accessories include tow balls, pintle hook, and lifting hooks. HOF Equipment has sales personnel standing by to help you find the forklift attachment you need. Take a look at our large selection on our website or give us a call at 888.990.1150 now!